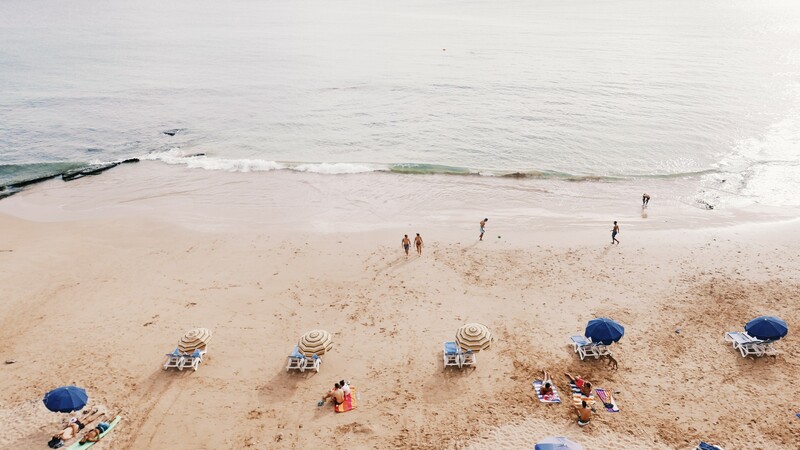 Life’s a beach here, quite literally. And in the summer, it’s all about clocking up hours on the sand. 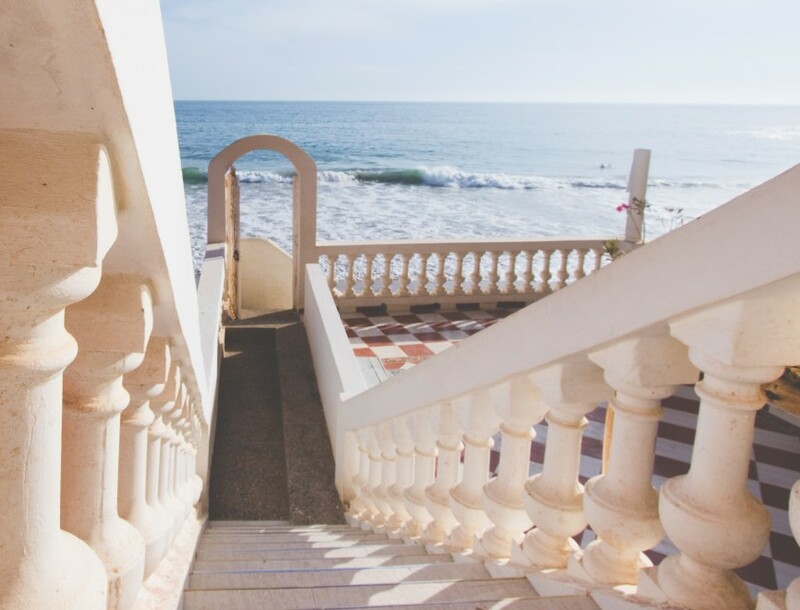 With beaches literally on the doorstep of all of our locations, as well as a beach running from Taghazout to Devils Rock, you can take long beach walks, cycle on the new path, or find a patch to laze all day and swim in the warm ocean. Sounds horrible, we know! Not too keen on getting sand up your bum or salt in your hair? We hear you. 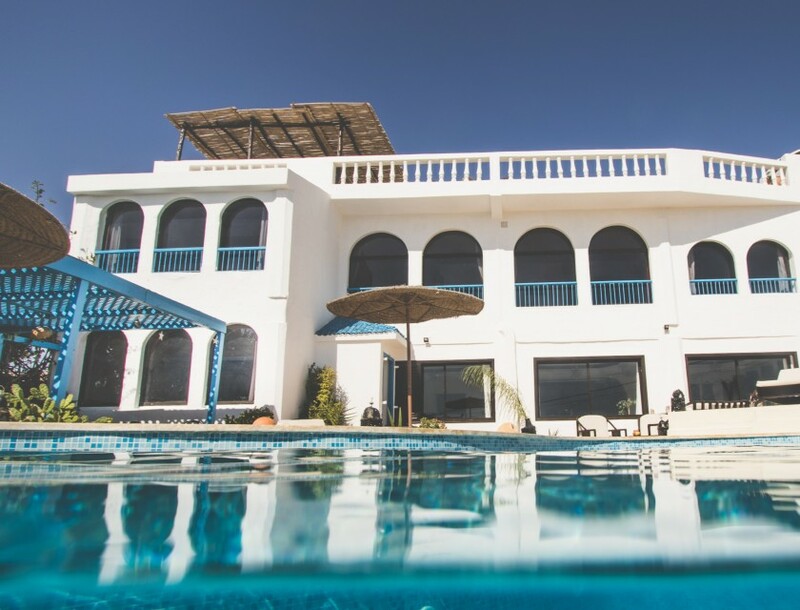 Catch the rays instead by chilling in our beach chic and newly refurbished Taghazout Villa, and take your pick between overlooking the ocean on a hammock or sun lounger. Vitamin D is thrown in for free. You know those films where you see people galloping horses along the beach, water spraying behind them all in slow motion. Not sure what film it was, but it’s pretty awesome, and we have that right here! 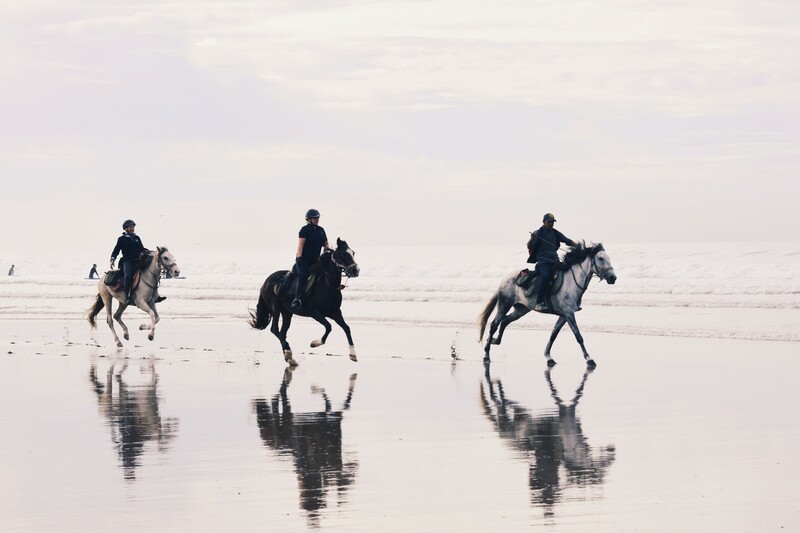 Just pop 10 minutes down the road to Amoudu Cheval, or stay at Villa Mandala and have a horse pick you up from the front door (literally!). No matter what your experience is, you can take a ride along the coastline and beautiful long beaches…looking like a film star. Not bragging, but we have the best Yoga Shala in town. 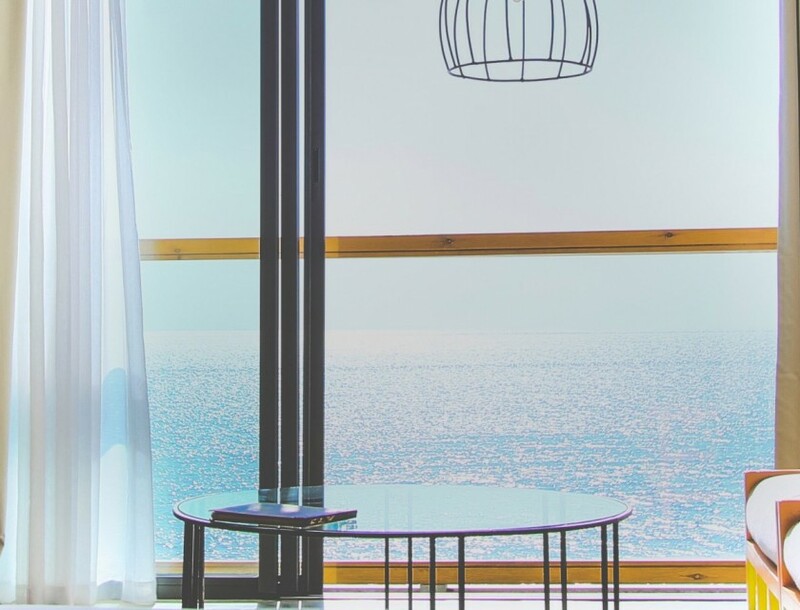 It’s got an amazing panoramic view of Taghazout and beyond that you can literally sit and stare at for hours (or meditate in front of!). It’s big windows and sheltered roof means you get the full sunshine but also protect yourself from the sun if you need a little break from the rays! Perfect for chilling out this summer! 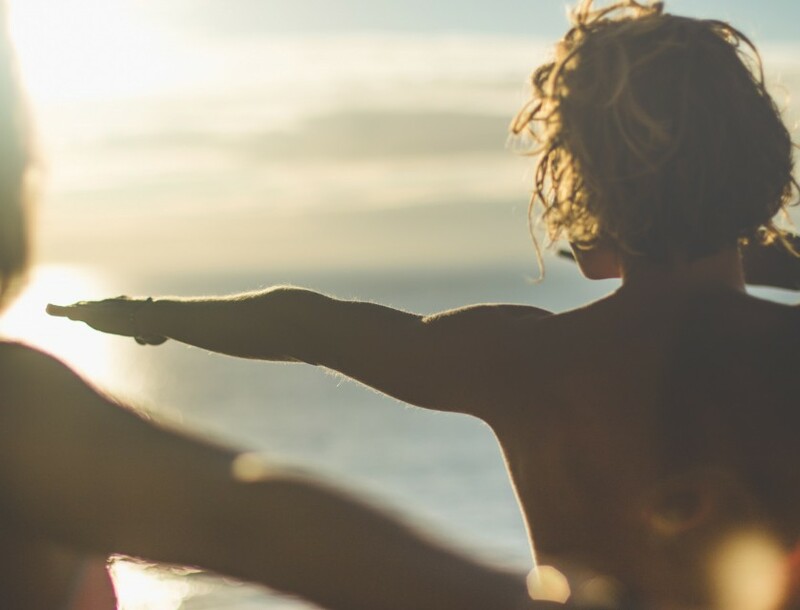 We’ve got a jam-packed Shala schedule this summer, with Fitness Weeks, Yoga Surf Immersion specials, our weekly Community Classes, plus our regular Vinyasa, Yin, Restorative yoga classes for you to find your summer balance! The waves a more mellow in the summer, which is perfect for taking the Stand Up Paddleboard for a spin. 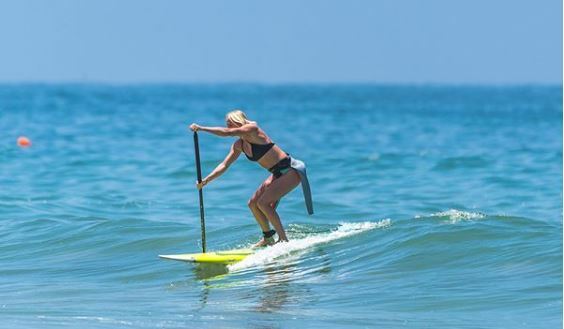 With paddleboards available for free at all of our locations, you can get out on the water and chill on the ocean – perfect for topping up the tan. And if you’re anything like our Villa Mandala Host, Caz, you can also surf yourself a few waves when a set comes along! What’s summer without a pool party!? Well, we have one every Sunday at Amouage! With oceanside infinity pool, fun inflatables, DJ playing summer tunes and a pop-up outdoor bar with pitchers of Margarita and Sangria…it’s the best way to end the weekend. 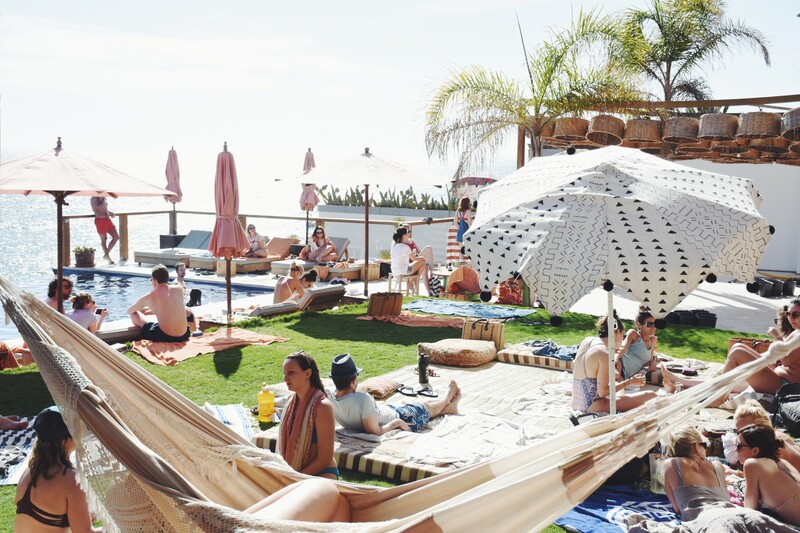 With all these summertime vibes, you know where you will find us hanging out every Sunday afternoon! Summer is all about mellow waves, giving longboarders time to perfect their hang tens. 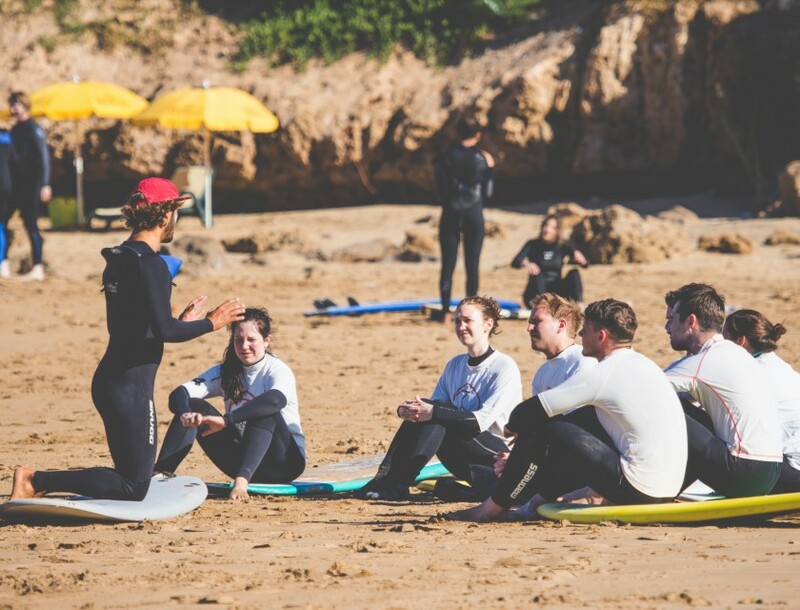 Go a little north of Taghazou you will hit Imsouane, Morocco and North Africa’s longest wave…and a longboarders paradise. 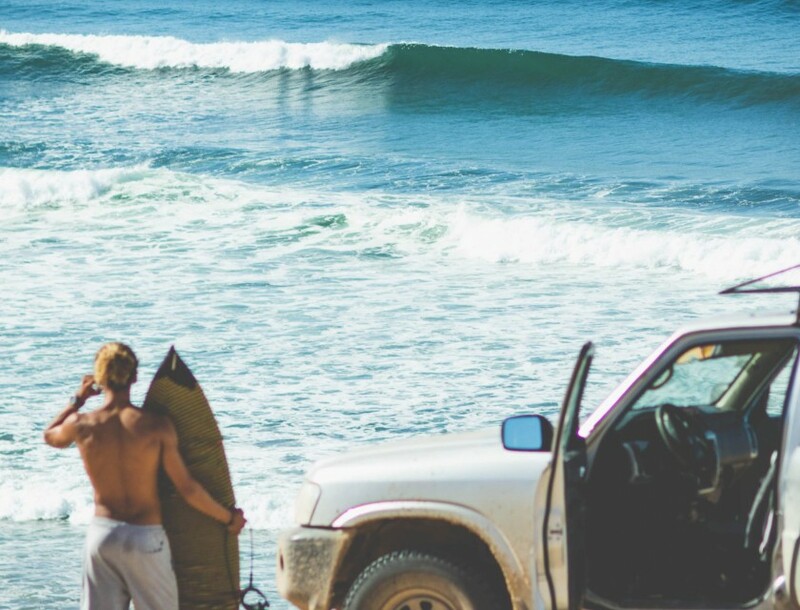 Just grab your shortie wetsuit, hit play on your mixed tape and take a road trip along our coastline to discover a real summer surfers spot. On your way to Imsouane, stop by our local sand dunes just after Tamri. Trek over the rolling dunes and get lost in its little hidden canyons. 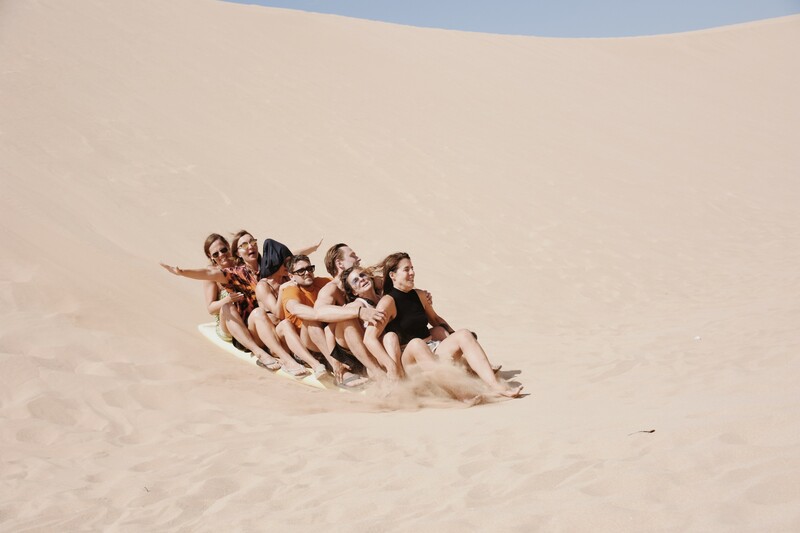 Don’t forget to take a foamie for some dune surfing fun, and see how steep you dare to go! Be prepared to get a mouthful of sand. 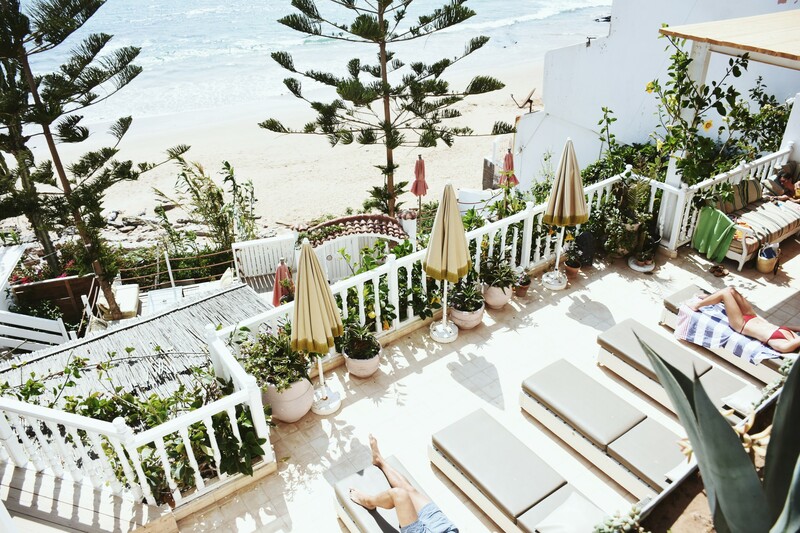 Just 45 Minutes from Taghazout into the mountains you will discover a slice of paradise. Hang out amongst palm tree groves and natural mountain springs. 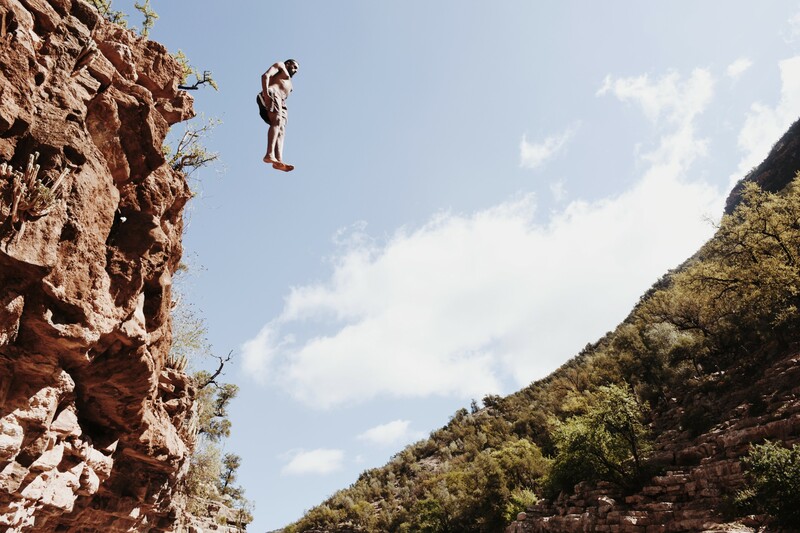 And if you dare, take a leap off the cliffs into one of the pools to cool off. There’s always a great summer vibe by the big pools, but you can always venture deeper to find a spot to chill, sunbathe and enjoy an escape from the beach! Fancy hanging out with us this summer? 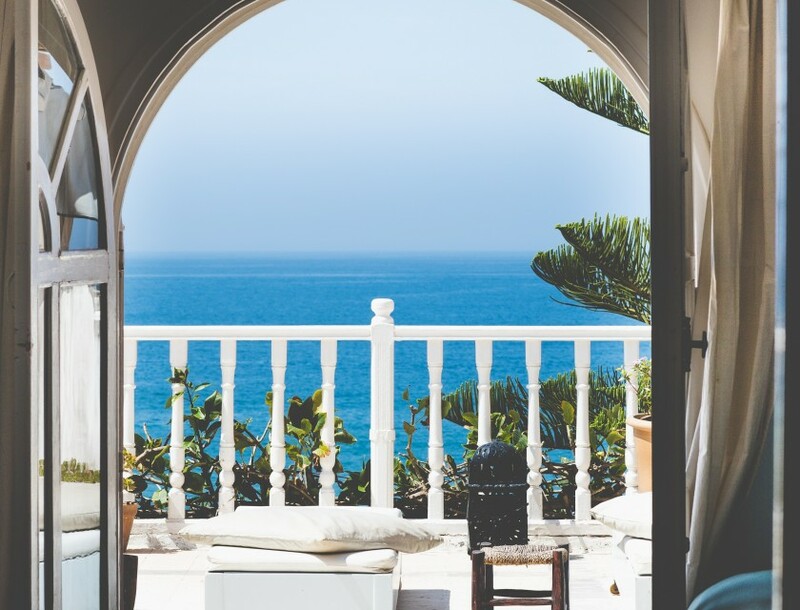 Just check out our special offers and locations to find your perfect deal and Moroccan summer spot.